Take a break from Oaxaca with a short trip to Mitla in San Pablo Villa de Mitla, about 58 minutes away. There's lots more to do: explore the ancient world of Monte Alban, take in the spiritual surroundings of Cathedral of Oaxaca, take in nature's colorful creations at Ethnobotanical Garden, and hunt for treasures at Benito Juarez Market (Mercado de Benito Juarez). To find maps, where to stay, reviews, and other tourist information, refer to the Oaxaca itinerary builder. Warsaw, Poland to Oaxaca is an approximately 25-hour flight. Due to the time zone difference, you'll gain 7 hours traveling from Warsaw to Oaxaca. Traveling from Warsaw in March, expect Oaxaca to be warmer, temps between 35°C and 14°C. Cap off your sightseeing on the 9th (Thu) early enough to travel to Palenque. 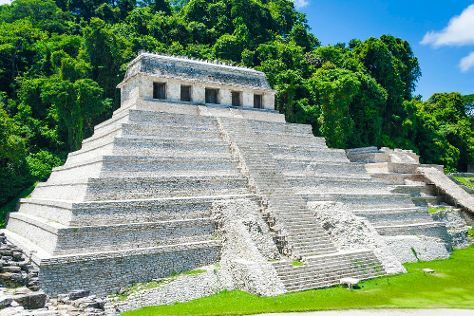 Palenque is known for nature, sightseeing, historic sites, zoos & aquariums, and museums. Your plan includes some of its best attractions: make a trip to Palenque ruinas, explore the activities along Agua Clara, take in the dramatic scenery at Agua Azul Waterfalls, and admire nature's wide array of creatures at Aluxes Ecoparque. To find where to stay, ratings, traveler tips, and tourist information, refer to the Palenque holiday planner. You can fly from Oaxaca to Palenque in 4 hours. Alternatively, you can drive; or do a combination of shuttle and bus. Expect somewhat warmer evenings in Palenque when traveling from Oaxaca in March, with lows around 24°C. Finish up your sightseeing early on the 12th (Sun) so you can go by car to San Cristobal de las Casas. San Cristóbal de las Casas, also known by its native Tzotzil name, Jovel, is a town and municipality located in the Central Highlands region of the Mexican state of Chiapas. You'll find plenty of places to visit near San Cristobal de las Casas: Cascada El Chiflon (in Comitan) and Tuxtla Gutierrez (Chiapa de Corzo & Parque de la Marimba). The adventure continues: explore the stunning scenery at Canon del Sumidero, stroll through Parque Central, take in the spiritual surroundings of Catedral de San Cristobal de Las Casas, and look for gifts at Maya Kotan. For maps, ratings, photos, and tourist information, read San Cristobal de las Casas sightseeing planner. Traveling by car from Palenque to San Cristobal de las Casas takes 3.5 hours. Alternatively, you can drive; or take a shuttle. Finish your sightseeing early on the 16th (Thu) so you can travel to Puerto Escondido. Puerto Escondido is a small port and tourist center in the municipality of San Pedro Mixtepec Distrito 22 in the Mexican state of Oaxaca. Puerto Escondido is known for beaches, nature, adventure, classes, and sightseeing. Your plan includes some of its best attractions: tour the pleasant surroundings at Playa Zicatela, enjoy the sand and surf at Playa Principal, browse the eclectic array of goods at El Mercado, and explore the activities along Laguna de Manialtepec. To find ratings, maps, and more tourist information, read our Puerto Escondido online itinerary creator. Getting from San Cristobal de las Casas to Puerto Escondido by flight takes about 6.5 hours. Other options: do a combination of flight and bus; or drive. 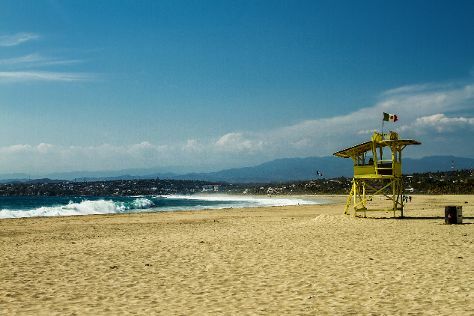 In March in Puerto Escondido, expect temperatures between 34°C during the day and 27°C at night. Wrap up your sightseeing on the 21st (Tue) to allow time to take a bus to Huatulco. When in Huatulco, make a side trip to see Punta Cometa in Mazunte, approximately 1:20 hours away. Next up on the itinerary: don't miss a visit to La Crucecita, contemplate the waterfront views at Tangolunda, kick back and relax at Playa Entrega, and stroll through Copalita Ecological Park & Ruins. To see where to stay and tourist information, refer to the Huatulco trip generator. Getting from Puerto Escondido to Huatulco by bus takes about 2 hours. Other options: drive. In March in Huatulco, expect temperatures between 37°C during the day and 26°C at night. Wrap up your sightseeing by early afternoon on the 25th (Sat) to allow time for travel back home.